At the end of the day, you want the most exposure for you company as humanly possible. 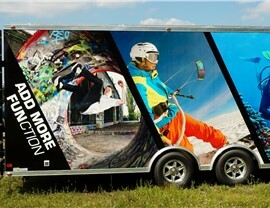 An easy way to do this is to create a mobile advertisement through utilizing our vehicle wraps. By outfitting your trailer with a sleek graphical design, you're increasing your chances of maximum exposure while traveling on the road. We work on a local and national level, providing three levels of digital graphics to meet your budget and specifications. 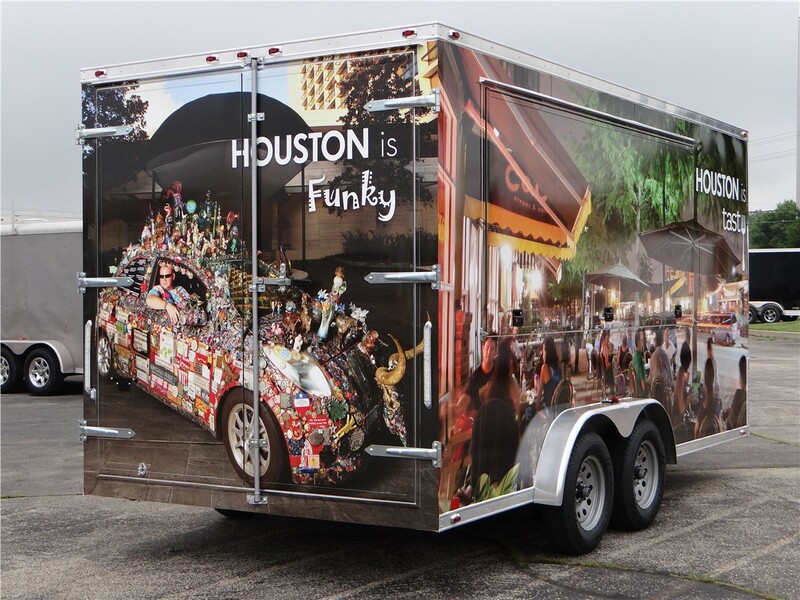 Our trailer experts produce awe-inspiring wrap-around graphics, designed to your personal style or as a trailer branding service for your custom trailer or truck. 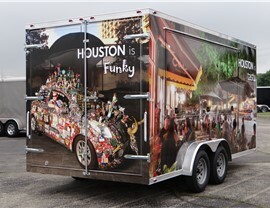 See more examples of trailers we have custom-built and branded with custom graphic vehicle wraps. We can easily display your company name, products and contact information. We also offer a variety of colors that can be applied to your exterior finish. 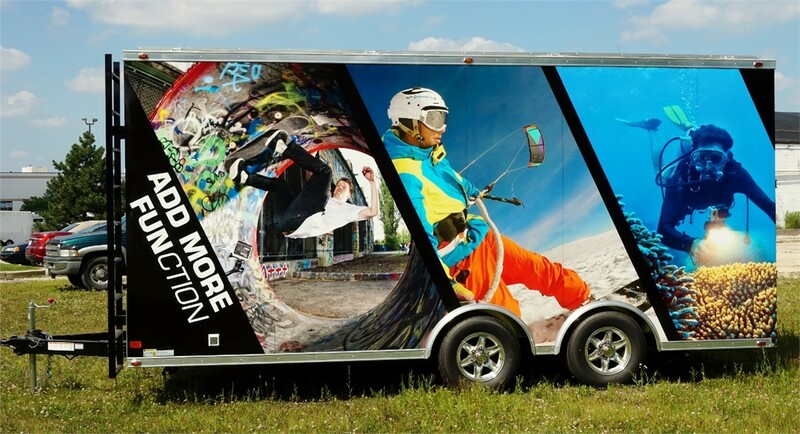 If you want to take your trailer to the next level, our graphics department can design any image you want. There is truth to the saying "a picture is worth 1000 words," so greatly enhance your message by adding a colorful image. Designed for maximum exposure, vehicle wraps are a highly visible way of getting your brand out in the public eye. 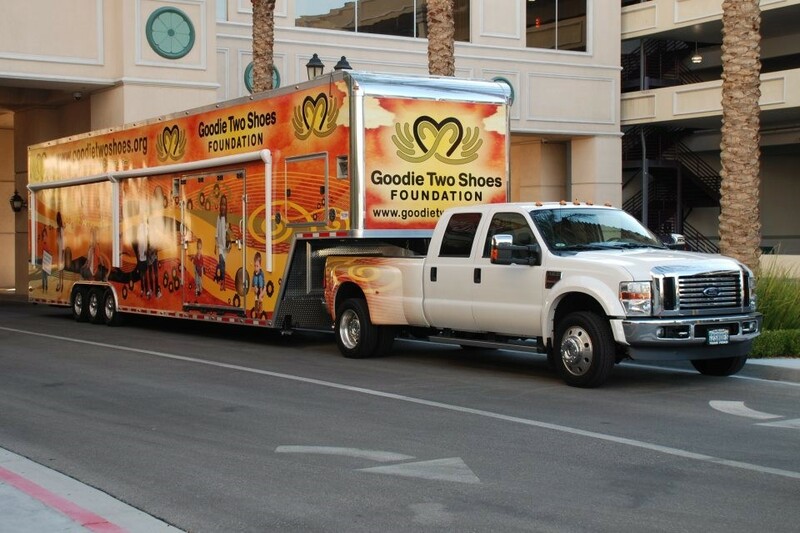 Wrap-around graphics can also be used inside the trailer to accentuate your product displays. Our vehicle wraps are well designed and will leave a lasting impression on your prospective customers. Our design and fabrication experts are provided with the technology and training to apply auto wraps on any type of vehicle, regardless of make or model. We offer three types of full-color vinyl vehicle wraps: Lifetime, One Year or Temporary. 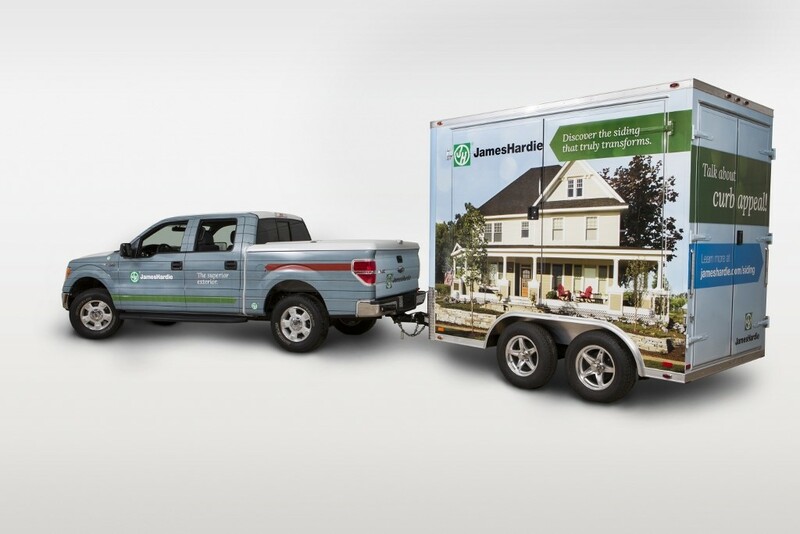 Whatever you need, our skilled crews and partnership with Signs by Tomorrow Bloomingdale will ensure you receive a well-designed vehicle wrap that properly represents your company. 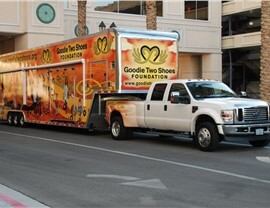 Let us know how we can enhance your branding through lettering, graphics or full vehicle wraps. 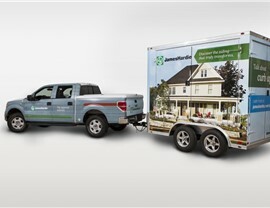 Call Advantage Trailer or fill out our online form now to receive your free quote today!